Today, media operations is about managing more than just assets, but systems, people and processes too. Most media businesses are faced with the growing challenge of delivering content across more platforms, in more places and to ever tighter deadlines. Media Operations Management allows you to control your end-to-end operation, to include file based acquisition, production, distribution and archive in a more agile and cost effective way. That’s where Sony’s Media Backbone Conductor could be the smart solution for you. Media Backbone Conductor is a Media Operations Management system; a platform that merges an enterprise class workflow engine, asset management, and media specific business intelligence, built specifically for modern broadcasting. But siloed operations, a lack of visibility, and ineffective measurement are critical barriers to success. Learn how Media Operations Management holds the answer. Simplify your operation for greater control. Integrate your entire operation by joining together your existing disparate solutions under one centralised management system. Create efficiencies and save money by reducing time and effort. Reduce redundancy with greater visibility and management of both human and technology resource. Continuously improve your business processes by utilising an agile/flexible operation. Speed up innovation by measuring your operation and implementing change quickly and easily and managing by exception. By orchestrating your operation, Media Backbone Conductor automates routine tasks and simplifies how different, disparate systems communicate with each other, reducing complexity and improving efficiency. It also delivers easy-to-understand analytics to help you make informed decisions about how to run your operations. Originally developed by the IT industry to integrate disparate software applications into flexible, adaptable workflow systems, SOA approaches succeed because they are clever architectural solutions to problems of combining dissimilar technologies. Traditional software integration techniques require each application to communicate with every other application with a specific connection to facilitate each link. Existing digital islands are connected to a common Enterprise Service Bus (ESB). The workflow engine orchestrates the business processes and works in tandem with the media bus to ensure that content and resources are made available to the right users at the right time. At a technical level, MBC is a service and application integration platform designed to integrate the many different systems a broadcaster uses across its operations. A key aspect of the MBC platform is the workflow orchestration engine which allows a broadcaster to automate certain business processes which couldn’t be done in a tape based world, such as moving files between systems. In addition to this the workflow orchestration engine can extract and display data (KPIs) about the content status: where it is, what state it’s in, how many activities have taken place etc. And as MBC is an enterprise-wide platform this KPI data can be viewed across the entire production process. Furthermore MBC provides the ability for both media and business systems to be integrated so that the business can start to operate as a connected whole, unifying what up to now, have been two distinct and separated parts of the business. This means that the data generated by MBC can start to drive improved performance across a business. MBC is based on SOA principles (developed in the IT world) and MBC has adopted a number of proven components from the leading provider of SOA tools Software AG. Sony has embedded these tools into MBC and up-scaled the platform capability so that it can now move the larger media files which broadcasters create, around the various systems a broadcaster uses e.g. ingest, post production tools, playout etc. At the core of the Media Backbone Conductor is an Enterprise Service Bus (ESB) that connects every application involved in the workflow. Connecting applications through the ESB, rather than to each other resolves compatibility issues at a stroke. 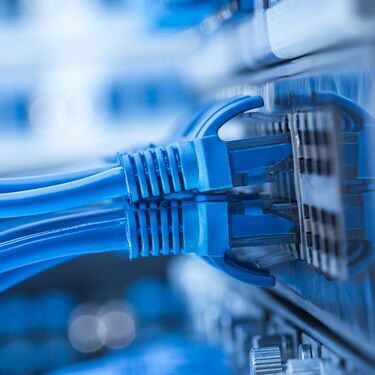 Replacing an existing application or building a new service no longer requires remodelling an entire workflow but instead becomes a matter of applying an adaptor to the ESB, connecting the new device and resetting parameters. Workflows update automatically, but especially clever is that as more and more components are introduced, synergies between functional elements are created. As MBC builds there are more and more opportunities to eliminate cost, save time and reduce risk – and all of a sudden increasing complexity drives efficiencies. Because MBC is built on Software AG’s market-leading SOA platform using open standards and protocols, it’s designed for compatibility. So whether you’re building on your legacy system or leveraging our ‘best-of-breed’ partnerships, the process of adopting new systems, recruiting new technologies and establishing new processes is simplified and managing change becomes easier. Lastly by connecting the systems and technologies across an enterprise MBC introduces the idea of services, so that where once an operational division was required to run its own ingest or transcode activity, this can now be consolidated (or run centrally) acting as a service which any division can call upon. Streamlining workflows, enabling efficiencies, enhancing control and promoting innovation – the Sony Media Backbone Conductor optimises every aspect of your media platform and evolves as you grow. Having hard performance data from your platforms gives you the information you need to make the right decisions to optimise your business. 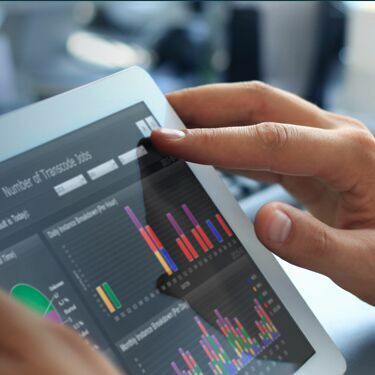 MBC provides you with the business intelligence tools that show you how your platforms are being utilised, with a workflow engine that can farm data from any point in any process – and present information on performance dashboards. By connecting systems through a common gateway, MBC enables greater access to content across your entire business: users have a single GUI from which they are able to manage assets stored in all connected systems and applications. And by removing redundant tasks your staff will have more time to create and deliver more content over a wider number of services to diverse audiences. Issues of compliance and content security are crucial to business policy. The visibility and centralised control offered by the Sony Media Backbone Conductor make it easy to implement and enforce compliance and security protocols. Users can be assigned roles at an appropriate level to limit access and the operations performed. And because each application communicates in real time, compliance is an inherent function of the system. MBC ensures your facility’s security and compliance procedures are followed consistently, with defined user access privileges protecting valuable assets. Whether interfacing with your own enterprise mobile application management services, customer management, billing or scheduling, the phenomenal compatibility of MBC can transform the way you do business. Because the roots of the webMethods SOA platform lie in enterprise integration, interface tools for Avid, Harris, Harmonic, Tektronix, Front Porch Digital and countless systems already exist. MBC can network your entire organisation with the rest of the world. MBC offers core function connectivity to external vendors and partners– but as a solution based in enterprise integration, off-the-shelf tools align MBC with wider management, scheduling and billing applications. The introduction of a workflow orchestration engine, means the Media Backbone Conductor can automate low-value tasks and processes (for example Automated QC and File Transcoding). This introduces a new level of flexibility and agility into your workflows which can also drive innovation (for example activity can be consolidated to form services or new platforms introduced at a fraction of the cost). In addition to which the workflow screen enables you to confirm the status of each job in real or near-real time. This visibility provided throughout the entire process allows identification of bottleneck and re-prioritisation of files and means you can decide where and how your workflows can be optimised. When changing a workflow can cost as much as creating a new one, innovation becomes a barrier to itself. By adopting a Service Oriented Architecture platform from leading provider Software AG and using Open Standards and protocols, adding a workflow becomes straightforward and enhances those you already have. And as an MBC platform can be integrated into your systems as a manageable ‘phased’ approach, it reduces the technological and financial challenges of a ‘Big Bang’ project. The key advantage of Service Oriented Architectures is that adding workflow becomes easier as the MBC increases in scope – components are reutilised, repurposed and combined with existing channels. 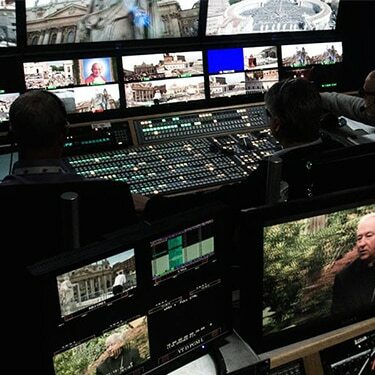 Sony Media Backbone Conductor has transformed the workflows of world-leading broadcasters: NBC Universal, Turner Broadcasting System, The Weather Channel and Radiotelevisione svizzera. 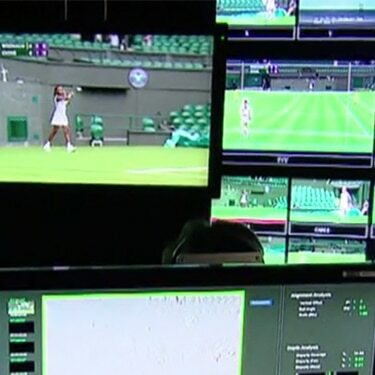 With the London 2012 Olympics presenting NBC’s Highlights Factory with the challenge of generating 17 non-stop days of live non-broadcast content for the US, the media giant turned to the Enterprise Management System based on our Media Backbone Conductor software. The Games were to be the first NBC planned to deliver live online. Its Highlights Factory was facing the challenge of having to deliver thousands of clips and 3,000 to 5,000 hours of new media content to the NBC Olympics website, smart phones, tablets, electronic sell-through sites like iTunes and Amazon, and cable VOD. Using Media Backbone Conductor, we designed a comprehensive set of workflow and monitoring tools. Our Enterprise Management System choreographs the process from the planning stage through to work order generation, activation and execution – with complete visibility via multiple dashboards coupled with alarms that pop up when any step in a process exceeds a pre-determined time limit. We knew that we needed help with workflow management and that Sony was into that field, so it was a natural fit. Turner Broadcasting System Europe, the London-based arm of the Time Warner-owned global media organisation, has successfully implemented Sony’s Media Backbone Conductor across parts of its operations as a pivotal part of its transformation towards a more flexible, agile production and distribution environment. Turner Broadcasting’s new, fully file-based European Media Hub will ultimately streamline media management for 35 channels across Europe, integrating the tools, processes and applications used in its Media Preparation Centres in London, Madrid, Munich, Paris, Rome and Copenhagen. Turner Broadcasting has standardised and automated, where possible, media preparation across a five-phase process: planning, ingest, compliance, masters and packaging. Optimised for multi-channel, multi-language content, this process can require the creation and management of over 30 different additional subtitle and audio tracks linked to the original master content. Media Backbone Conductor efficiently automates the Turner workflows, including the management of all media throughout the processing phases, and manual operations such as QC and review, ordering and approvals and automated functions such as file movement and storage, transcoding, QC, and packaging for playout and distribution. All master files, and versions, are automatically archived for security and future use. 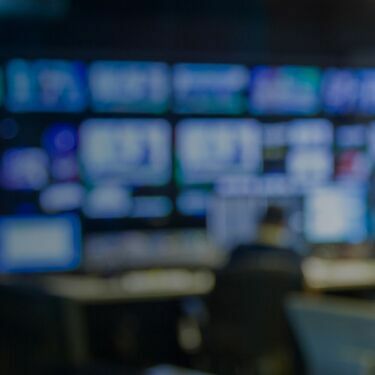 As Turner Broadcasting continues to transition to a business model predicated on flexibility, agility and the ability to respond rapidly to new business opportunities, the solution has helped it reduce production timelines and enjoy significant operational savings. Media Backbone Conductor is used by major broadcasters around the world, combining a powerful Service Orientated Architecture integration platform with a Media Bus that automates the management of large media files, and a Media Workflow Engine that optimises processes across the entire production environment. Sony partnered with Turner Broadcasting to configure the solution in-line with existing third-party tool integration and existing business systems, and worked closely with internal teams to provide documentation as part of Turner’s on-going programme of business change management. The Weather Channel is undergoing a huge technology refresh with Sony’s Media Backbone Conductor as the foundational platform. The Weather Company can tailor the MBC processes and user interfaces to fit their unique needs, a huge advantage in usability and ease of use. Another benefit for Grossman was how easy Media Backbone made it to incrementally build out the system with no cost penalties. I don’t know what’s going to happen in two years, three years, five years, and I need to build a system that provided me that flexibility. 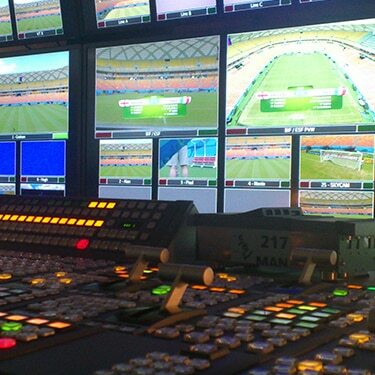 To compete more effectively in the digital era, Swiss public broadcaster RSI (Radiotelevisione svizzera) identified the need to create an end-to-end tapeless platform. As well as improving operational efficiency, the solution was expected to enable fast modifications to, and launches of, new services and channels. RSI serves the Italian-speaking communities across Switzerland. The broadcaster delivers two television channels, three radio stations and a website offering on-demand programmes. Its archives are also publicly available via dedicated portals. 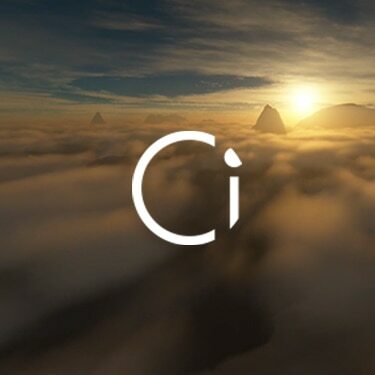 To achieve improved business agility, RSI wanted to develop a solution that could easily scale in line with its needs and reduce the inherent complexity found with traditional point-to-point integration architectures. After studying other industries, RSI decided that a solution based on the principles of a Service Orientated Architecture (SOA) would best serve its needs. It was also important that any proposed solution should be based upon off-the-shelf, non-proprietary technologies, reducing reliance on any one single vendor. Successfully responding to RSI’s public tender, our Media Backbone Conductor (MBC) SOA-based integration platform was included as part of the overall solution. We wanted to link all applications and islands in a digital tapeless workflow and to provide shared and transparent services to our users. MBC capitalises on investment in time, money and training you’ve made in your existing applications and technology – building on your expertise. The open-source flexibility and scalability of the Sony Media Backbone Conductor enables a small-scale, targeted introduction. By initially focussing on a specific problem area, MBC can deliver big gains at low cost and low risk. As business cases for further areas of integration become obvious, further roll out throughout the organisation becomes quicker and easier to facilitate. The future of broadcast news with the Media Backbone Hive. Solve the real world challenges you face every day. Media Operations Management for the real world. 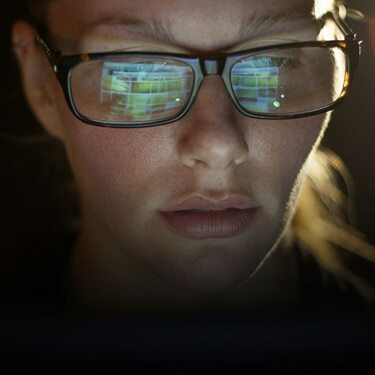 How to get the intelligence you need to transform your media operations. Growing visibility to grow your media business. How to achieve your goals without a 'rip and replace' strategy.